The chairman of franchise giant Hunters says his company’s purchasing power is such that it secures 60 per cent discounts from major portals. Portal costs have been in the limelight for years but have gained momentum in recent months as sluggish transaction volumes matched with reduced fees charged by many firms have led smaller companies in particular to examine their costs. Rightmove recently revealed that its Average Revenue Per Advertiser - a key measure for portals, as it is the average amount agents pay - had gone through the £1,000 per month figure for the first time. But Kevin Hollinrake, chairman of franchise giant Hunters, suggests his company pays far less than that. 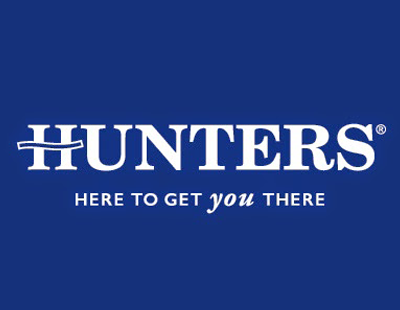 “Independent agents that converted to the Hunters brand during the four years to December 2017 have grown their revenue by 21 per cent” he says, claiming this is confirmation of Hunters’ ability to improve revenue for franchise partners even in a challenging market. As a result of independent agents in particular having to become far more cost-conscious in the current sluggish market, Hollinrake suggests giants like Hunters may expand further as smaller companies seek the ‘shelter’ of larger ones. In addition, he says government reforms of the agency industry may accelerate the trend of smaller agencies moving into larger ones. 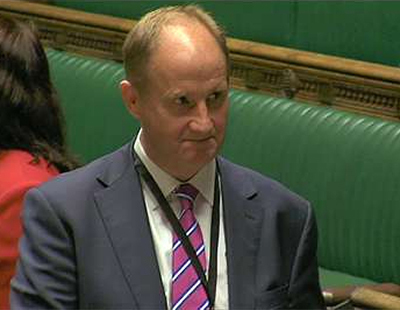 Hollinrake - who is also a Conservative MP and is a member of the government as parliamentary private secretary to Environment Secretary Michael Gove - says in the same statement: “Newly-implemented regulatory changes and the government plans to effectively license all sales and letting agencies to provide us with even more opportunities to expand our branch network further and strengthen our brand. Earlier this week Heather Wheeler, another MP an a minister at the Ministry of Housing, Communities and Local Government, told an industry conference that recent measures in the lettings sector - compulsory Client Money Protection and the imminent Fees Ban - were part of a new regulatory framework currently being devised by the Regulation of Property Agents working party. The comments by Hollinrake and Frew come with the company’s figures for 2018. Its income rise by 1.4 per cent to £39.4m, while adjusted profit rose 5.0 per cent to £2.01m; average network income per branch rose by 10 per cent to £200,000. Rightmove constantly Hurting the loyal independent agent to cover the huge discounts they give to the likes of Hunters. If you're any good as an estate agent you'll succeed as an independent without the "supposed" benefits as highlighted in this article. When we were part of a franchise we had the highest number of listings in our area........now as an independent we still have the highest number.......enough said ! Oh and one other thing......the 10% of our turnover we now DONT give to the franchisor pays for ALL the costs associated with R/M, Zoopla and On The Market.......with cash to spare......which makes the discounts obtained (as in the article) still look VERY expensive and a complete joke in reality! Rightmove should remember they are simply an advertising portal, small agents will only put up with so much and jump ship sooner or later. Rightmove, allow developers , private property companies , student block owners ...etc to have their own accounts ...now low cost online letting agents are these being subsidised by Rigthmove to ?